The 1½ in. 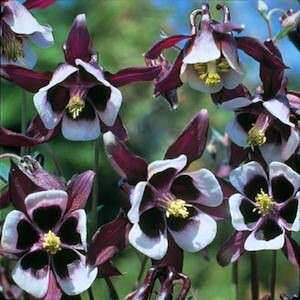 blooms of Magpie columbine are a deep purple, nearly black shade. Each flower has a contrasting white corolla. Foliage is deep green. Plants grow to 24 in. tall. Winter hardy to zone 3.